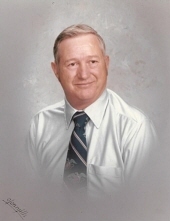 Norman E. Chancey, 83, husband of Doris Jean Wilson Chancey, passed away Thursday, February 7, 2019. Norman was born September 24, 1935 to the late Malcolm and Lula Rachford Chancey in Louisville, KY. He was a Deacon at Bethany Baptist Church in Eddyville, KY. Norman was also an avid fisherman and hunter. In addition to his wife Doris, he is survived by his daughters, Becky (Jerry) Flora, Lawrenceburg, and Cindy Buffin, Lawrenceburg; his son, Brian Chancey, Lawrenceburg; his sisters, Delorse Knipp, Louisville, and Sylvia Durr, Louisville; his brothers, Malcolm Chancey Jr., FL, Donald Chancey, Louisville, Harold Chancey, IN, and Lonnie Chancey, Lousiville; his grandchildren, Robyn Smith, Daniel Flora, Brittany Hockensmith, Brandon Baker, Justin Baker, Jamison Buffin, and Raven Sowder; and eleven great grandchildren. He was preceded in death by two brothers, Jerry Chancey and Otis Chancey; and a great-grandchild, Kaylee Elizabeth Flora Murphy. There are no services planned at this time. In lieu of flowers the family asks memorial donations be made to St. Jude Children’s Hospital. To send flowers or a remembrance gift to the family of Norman Eugene Chancey, please visit our Tribute Store. "Email Address" would like to share the life celebration of Norman Eugene Chancey. Click on the "link" to go to share a favorite memory or leave a condolence message for the family.